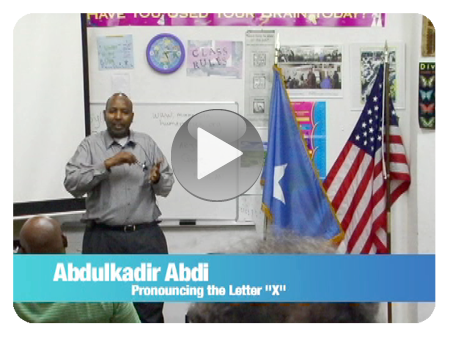 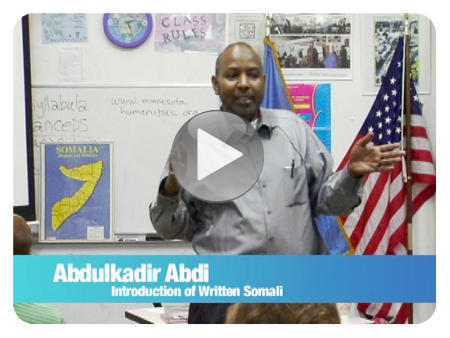 Abdulkadir Abdi works with participants to recognize and pronounce the “X” sound, as in “Ahmed”. 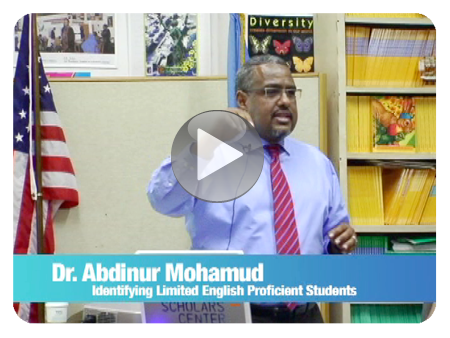 Dr. Abdinur Mohamud explains why Somali parents may not immediately advocate for their child’s educational needs, and pitfalls of misdiagnosing students’ language and learning barriers. 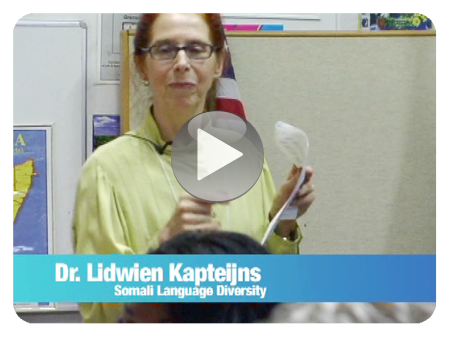 Dr. Lidwien Kapteijns highlights the emergence of vernacular religious poetry in a multicultural coastal community, through the poetry of a holy woman.